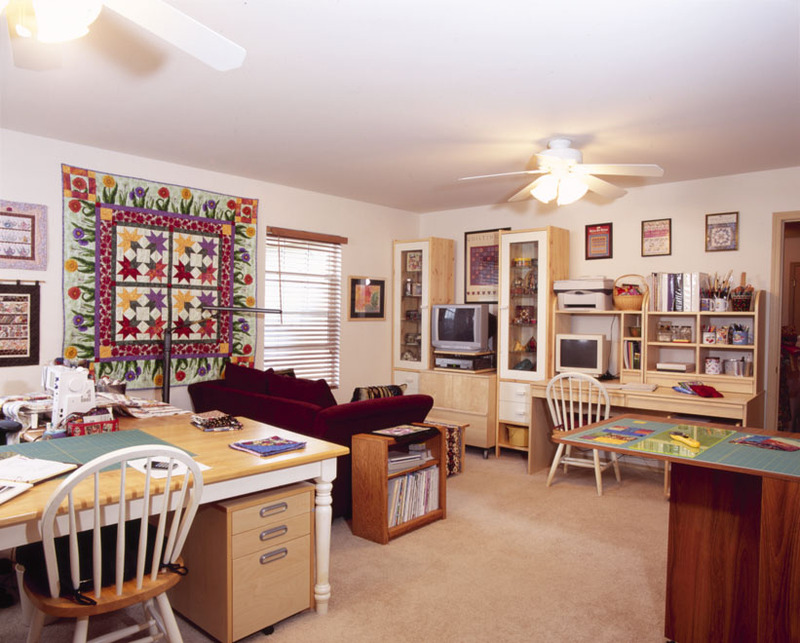 I consult with quilters all over the world to create their perfect quilting space. Whether you are building a new addition or just trying to maximize the space that you have, my proven methods for organizing and room layout will solve your problems. I work by phone and Internet with quilter's that live too far from me to visit in person. My rates are $75/hour for consultation and $35/hour for design. 1) You fill out my Quilters Needs Assessment questionnaire, take photos of your room, and measure current space and furnishings. 3) I review your information and pull out ideas to share with you. 4) We meeting by phone or skype to nail down your specific needs and preferences. It is helpful if you can be on the computer at the same time, but not necessary. 5) At the end of our first one hour phone consult, I provide you with an estimate of the total cost to design your studio based on your needs and you decide if you want to move forward. The alternative is that you can use the information that I have provided and do your own design. 6) You send me a check or pay via Paypay and I design your quilt studio. Click "add to cart" for pay by the hour or for a Design package listed below. 7) I mail you your design package which includes a layout, budget spreadsheet, and a two page report (similar to a chapter in my book). 8) We meet by phone to go over your design and answer questions you might have. 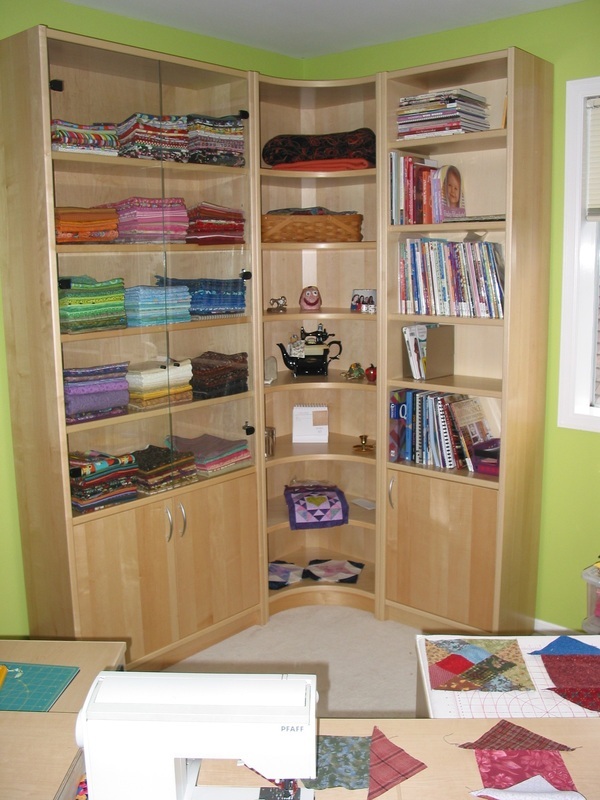 9) You rearrange and furnish your new quilt studio (or build if it is a new construction). 10) You email me any questions you might have along the way. 11) You email me your "after" photos so I can enjoy your quilt studio too!!! The whole process usually takes 4-6 weeks. 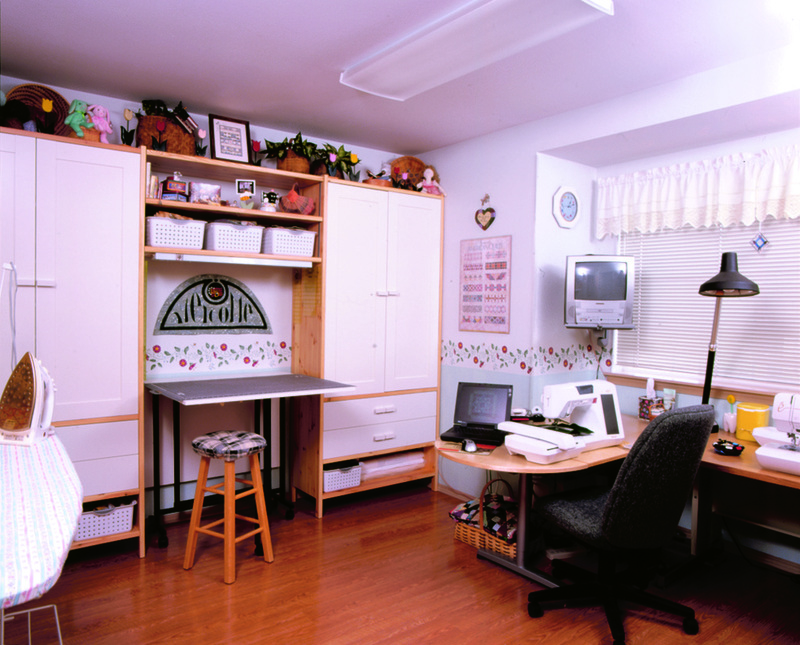 Almost all quilt studio design packages can be completed for under $500. Please feel free to email me at ClearviewDesigns@comcast.net with any questions you might have. What are you waiting for? This could be the day you decide to do something positive for yourself that improves your energy to create.